This study will be co-led by Mischa Haider and Penina Weinberg. They have recently begun collaborating on articles drawing wisdom from ancient Hebrew texts and applying it to understanding and undermining the assault on transgender womanhood today. 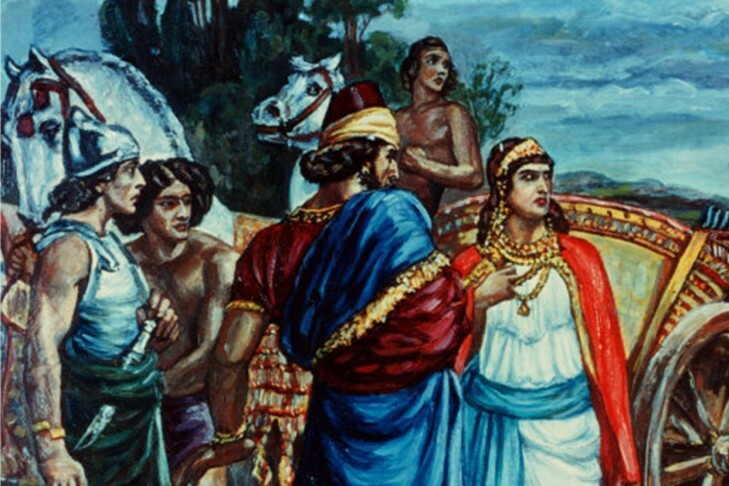 In this study, we will look closely at the story of Queen Jezebel in 1 and 2 Kings. As a Phoenician princess, she was educated in religion and governance, and well able to sustain 400 prophets and run the kingdom. Yet she was out of place in the Israelite kingdom, scorned for her prowess, feared, and ultimately thrown to the dogs. In seeking to understand the forces which drove the King of Israel to destroy her, we seek to understand two things about the modern assault on transgender womanhood. What are the forces that drive this assault, and how can we honor and foreground the majestic souls of our modern day Queen Jezebels? Mischa Haider is a transgender activist and mother. She is an applied physicist at Harvard University who studies applications of mathematical and physical models to social networks. She has written in the Advocate and Tikkun, and her research has been published in Applied Physics Letters. She also has a blog on the Huffington Post and is on the Board of Trustees of Lambda Literary. Penina Weinberg is an independent Hebrew bible scholar whose study and teaching focus on the intersection of power, politics and gender in the Hebrew Bible. She has run workshops for Nehirim and Keshet and has been teaching Hebrew bible for 10 years. She has written in Tikkun, founded the group Ruach HaYam and is president emerita and chair of various committees in her synagogue. Penina is a mother and grandmother. Study starts promptly at 7:15 pm. However we open the doors at 6:45 for schmoozing. Feel free to bring your own veggie snack for the early part. Ruach HaYam study sessions are open to any learning background and friendly to beginners. For those arriving by car, parking is allowed within 2 blocks on event nights. We are proud to have the co-sponsorship of Keshet for this event! Accessibility information: MBTA accessible, all gender/accessible bathrooms, entry ramp.